Caron Dimonio is an experimental two-handsome-man-band from Bologna, Italy. With their two releases "Gestalt" and "Solaris" they showed us a post-punk sound which you never have heard before. Gianluca lo Presti is the man behind Nevica, an electro-noise project from Italy. In addition to being engaged in songwriting, the artist delights in a series of improvisations substantially electro-noise, all of them performed live by himself with synt effects, bass and loop station. 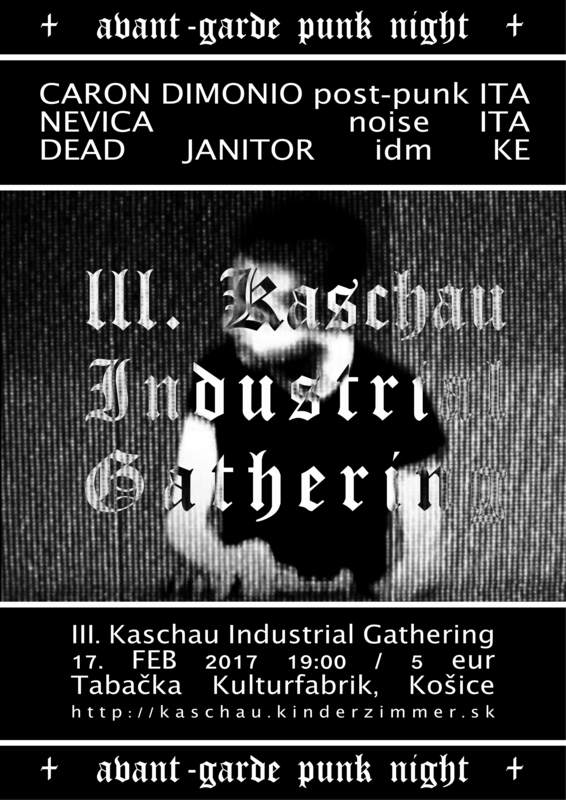 Dead Janitor is a one-man-project now based from Košice, Slovakia. His polyrhytmic electronic music with ambient and industrial influences for sure will challenge the listener's ear. Check out his new album Proximity on BC!